Happy Memorial Day, Everyone! As it’s the unofficial start of summer, now’s a great time to incorporate some healthy changes into your diet. Many people ask me what they should keep in their fridge and pantry for vegan recipes. So I thought it would be the perfect opportunity to share with you all what items to have in your vegan pantry. Many vegan cookbook chefs and cooks will tell you their personal faves so I’m going to share mine with you! People often believe that healthy food and/or vegan food costs more. And yes, it can be expensive depending on the ingredients. But meat can also be pretty pricey. And staples like rice and beans, which are a great foundation for lots of recipes, are uber cheap and last a long, long time. So the best way to use this list if you don’t have any of the ingredients is to start with Round 1 (the basics), then build with Round 2, finishing off with the extras in Round 3. That way, you won’t break the bank and you can start incorporating yummy vegan ingredients right away! Fruit preserves – strawberry is my fave! Non-dairy butter – Earth Balance is THE best, simply amazing! Most herbs and spices I use are dried although using fresh ingredients is always better. Items with an asterisk I only use fresh as the dried doesn’t do it justice. Salt – sea salt is my fave! 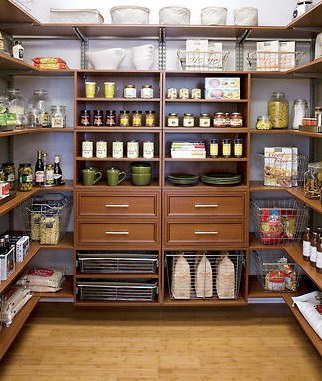 Now that you have the basics, you can build your pantry to create even more recipes! Trader Joe’s British muffins – vegan English muffins! Vegan mayo – Vegenaise brand is amazing! Non-dairy cheese – Daiya brand melts and stretches just like dairy cheese, it’ll blow your mind! These ingredients are either expensive or you probably won’t use them too often. But they are absolutely fabulous and will elevate your recipes. Let me know if you have any questions in how to incorporate these ingredients into delectable dishes! Tags: food, pantry, tips, vegan. Bookmark the permalink. Thanks Megan! Very helpful. It is really worth getting used to buying dried beans/lentils. If you go to Indian supermarkets you can usually buy them for VERY little. There is far less waste, you don’t have to worry about BFA plastic inside the cans, and you save lots of $$ over time (it just takes a little pre-planning to remember to soak overnight).